Built from 1906 onwards in various batches mainly for the movement of export coal from the large South Yorkshire pits to the L&YR docks at Goole for export and also for its own shipping fleet. Requires 8-spoke 12mm wheels, bearings, couplings, paint and transfers to finish. 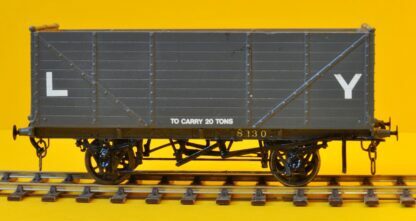 These wagons were built from 1906 onwards in various batches mainly for the movement of export coal from the large South Yorkshire pits to the L&YR docks at Goole for export and also for its own shipping fleet. The model represents the second batch of 36 which had steel underframes as opposed to the previous batch which were timber framed. The 10′ wagon height limited the collieries they served as many screens were too low to accommodate them. With a capacity of 20 tons, oil axle boxes and vacuum brakes they were a very efficient means of moving coal between pit and port. The vacuum brake enabled the trains to run much faster than the normal coal train, and to stop when required to do so! 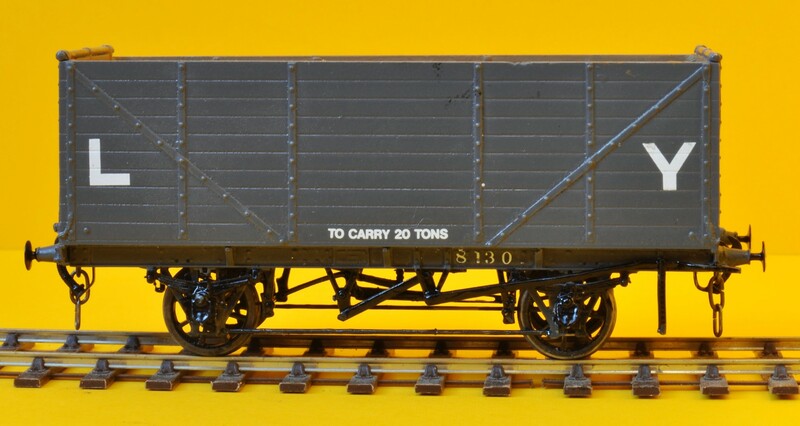 The wagons were in service from 1906 until the mid-1920s, many being rebuilt as 6-plank opens and used as general freight wagons after war service in Europe. Reparations imposed on Germany after WW1 included the supply of coal practically free of charge. This badly affected British coal exports, resulting in a relatively short life as built. 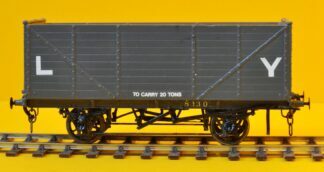 Many of the similar Diagram 71 Goole half end door wagons lasted to Nationalisation in 1948, some being used for general merchandise traffic. The top three planks were fixed, and the end door was the lower seven planks.